A future site for a man hole cover? OK, I suppose I'm not very good at this. 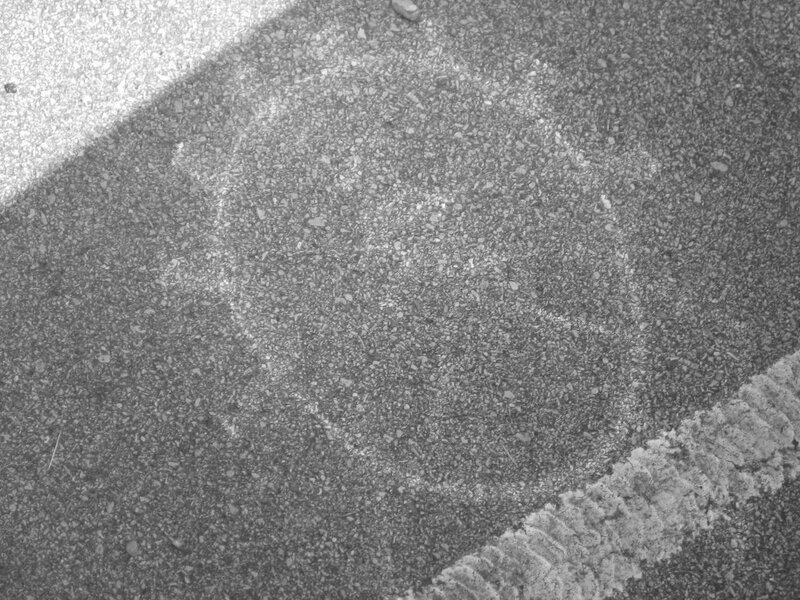 This is a photo of the reflection of the sun off of a hub cap. It looked brighter through the view finder, but now it is hard for me to see it.